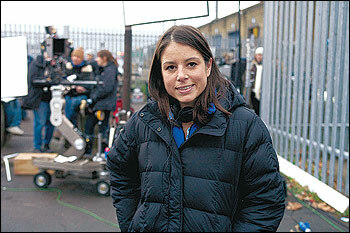 Former executive producer Beth Willis has landed the job of Deputy Head of Drama at Channel 4 according to C21Media. Beth Willis, who worked alongside Steven Moffat for series 5 and 6, will take on the role this September and will be responsible for originating, commissioning and developing programming for Channel 4's flagship channel and E4. Piers Wenger, who also worked alongside Steven and Beth on Doctor Who, will be reunited with his former co-producer as he left his role at BBC Wales to become a senior commissioning executive at Film4 until being appointed head of drama at Channel 4 in may this year. As well as producing Doctor Who, Beth Willis worked with the BBC and Kudos Films and produced dramas such as Ashes to Ashes and one-off drama about Morecombe and Wise, called Eric and Ernie.